if you're a lil bit poor and dont want to be buying milk all the time, you can preserve your milk for a couple weeks past the expiration by adding in lemon or lime juice and shaking the milk to evenly distrubute it. lime/lemon juice is also good at stopping fruits from browning and it works the same for milk. 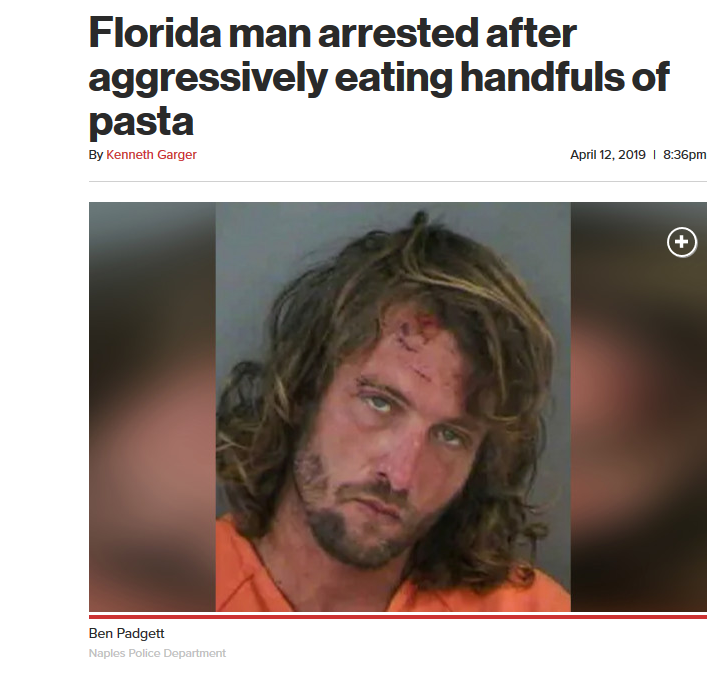 >A shirtless alleged drunk was arrested outside a Naples, Fla., Olive Garden last week after customers complained he was sitting on a bench and shoving handfuls of pasta into his mouth. >Ben Padgett, 32, was charged last Sunday with disorderly intoxication and resisting an officer, according to a police report obtained by the Miami Herald. >Arriving cops gave the pasta-eating panhandler paper towels to clean his hands and face before cuffing him, the Herald said.